No location is completely safe from climate change, but Miami’s future looks particularly challenging. The city’s sea levels are rising at faster rates than in other areas of the world, already resulting in floods, contaminated drinking water, and major damage to homes and roads. 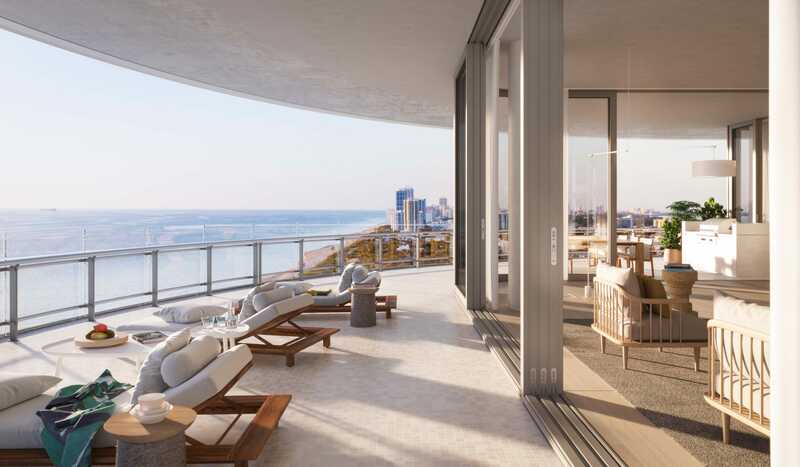 That hasn’t stopped high-profile architects from rolling out luxury developments in Miami that boast beachfront access and ocean views. 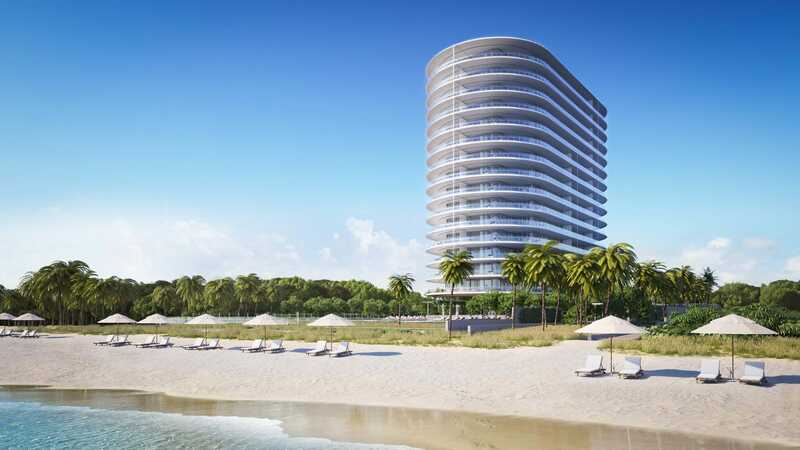 A 2018 report from the Union of Concerned Scientists suggested that 12,000 homes in Miami Beach are in danger of chronic flooding within the next 30 years. That puts around $6.4 billion worth of property at risk – the most of any coastal community examined in that report. This situation highlights a paradox in the modern real estate market: Waterfront homes often fetch the highest prices, but they’re also the most vulnerable to sea-level rise. Even after a major disaster like a hurricane or flood, buyers tend to hold steady in their coastal preferences. In a 2016 study published in the journal Nature Climate Change, scientist Mathew Hauer examined the risk of sea-level rise in the continental US. His findings showed a “super concentration” of at-risk residents in Florida’s Miami-Dade and Broward counties. From 2010 to 2100, Hauer said, these counties could account for one out of every four people affected by sea-level rise in the US. 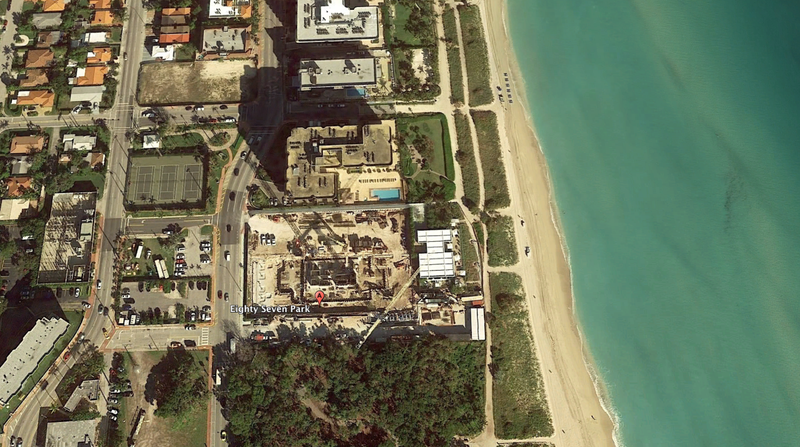 Last year, Forbes contributor Bill Springer asked David Martin, the CEO of the development company behind Eighty Seven Park, about the threat of flooding in Miami. Martin said he understood the city’s “complicated environmental situation,” and that his company, Terra, is dealing with it by diversifying its projects and the sites where it builds. While it’s hard to anticipate the exact amount of sea-level rise coming this century, the US National Ocean Service suggests that global sea levels rise about an eighth of an inch per year. That puts the nation on track to see nearly 6 feet of sea-level rise by 2100.